Gepost door My Scrambled Style op 3:25 p.m.
Mooie foto's en leuke trend! I love it! I had a scarf once but it was so corny I could die if someone forced me to wear it right now! I think I've seen a similar blazer like the 5th one at Zara last week! Ik vind het er echt classy uitzien. Mooie foto's! Funny that this is coming back. A couple of years ago i had some stuff with this print. Think i don`t have the blazer anymore. 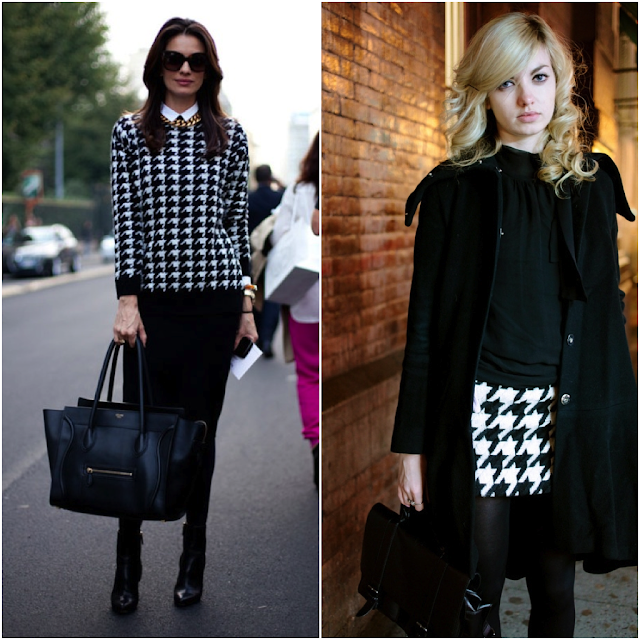 I really love houndstooth, it's so classic, glad it comes back every now and then! 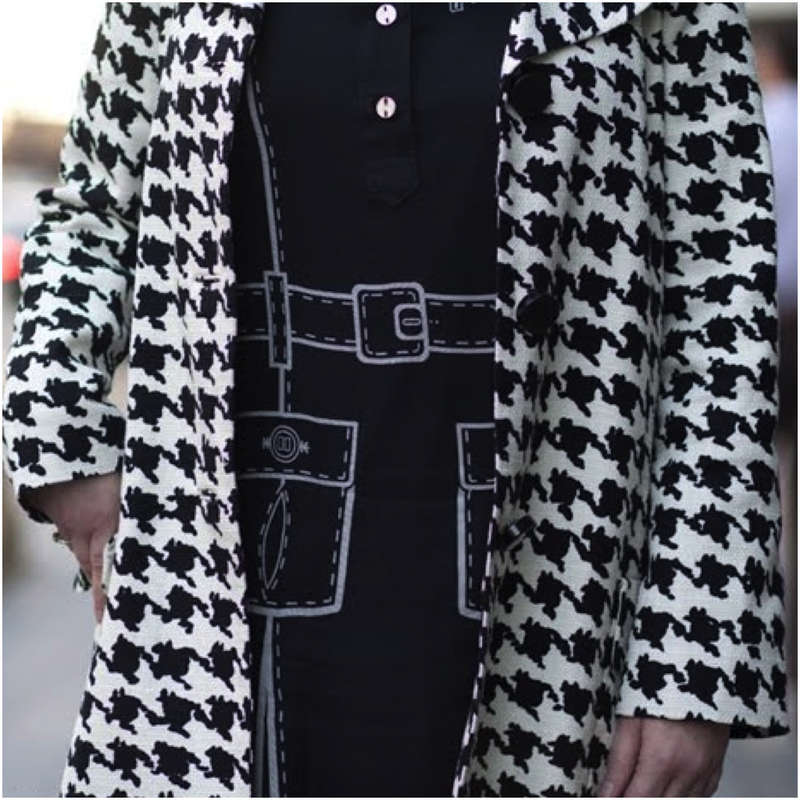 I have a Zara coat in houndtooth from last year, and I plan to get me more items! Love the inspiration! 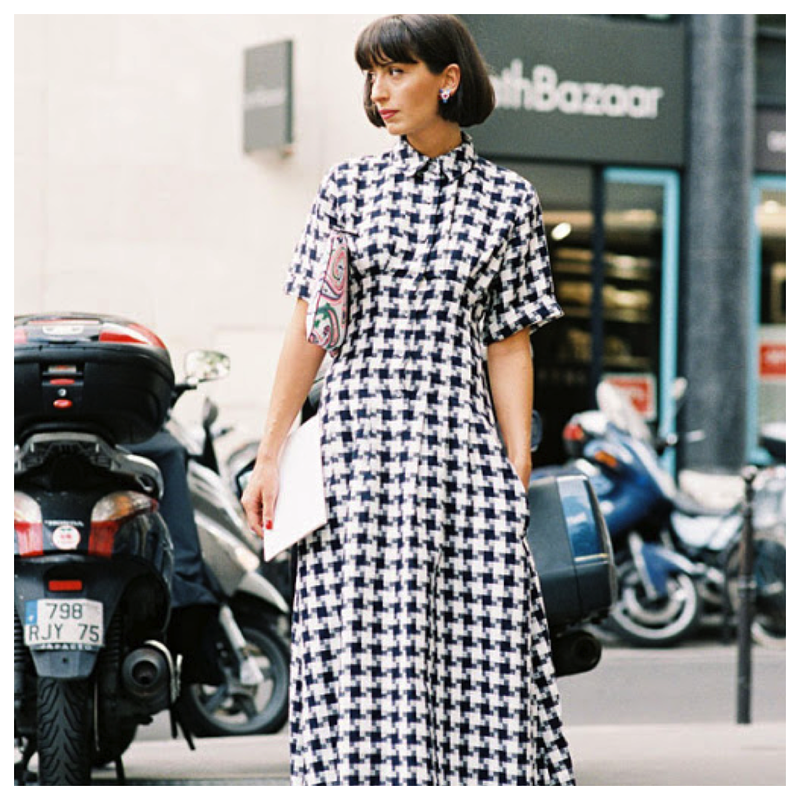 I have a bag and skirt in that print, love it! Your blog has been accepted in Europe Netherlands a minute! Met een stijltang denk ik. love it! het ziet er zo mooi chique uit! Ja, dit vind vind ik een leuke trend! Die clutch is echt super. Due to personal reasons, the Blog "Jeitinho brasileiro na Alemanha" changed the name to " Treasure Kiste". Unfortunately I could not bring my followers to the new "blog" and you will not get my updates. I would love to have you again as my follower, when you would not mind to following me again! Thank you very much and forgive me for this inconvenient. I love love this print. very classic and chic. Thanks for sharing. OMG!! wat een super inspiratie! I loveeee this trend!